It’s the most wonderful time of the year, so why not kick off the festive season by heading down to the Cleethorpes Coast Light Railway for the famous Santa Specials! Fun for all the family – all aboard the magical Christmas Express! Hauled by a steam locomotive and enjoy a return journey to Lapland Central. Whilst waiting to see Santa, adults can enjoy seasonal refreshments including mince pies, hot chocolate and mulled wine in Mrs Claus’ Kitchen. There will also be refreshments and snacks for the children to indulge in. Additionally, entertainment and activities will be available for all ages during this special encounter with Santa, Mrs Claus and their elves. This includes Christmas carolling, letters to Santa, activity sheets and more! You will be led by our mischievous elves to Santa’s beautifully decorated Grotto to spend some quality time with the man himself and receive a special gift. After all, Santa knows if you have been bad or good! Photography is permitted throughout this experience. 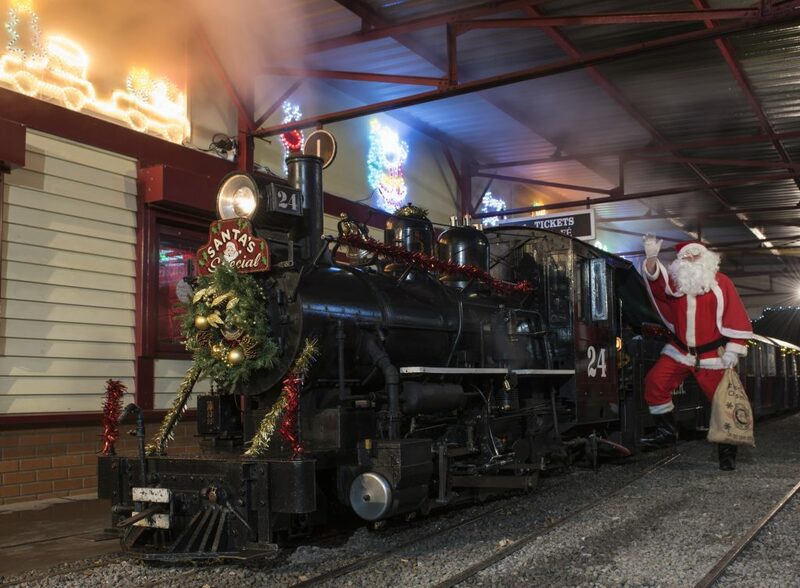 Your Santa Special experience will last for approximately 1 1/2 hours.